If you have received a notice of a proposed zoning change, commonly known as rezoning, or you have seen a rezoning sign posted on a property, you may be wondering what you can do to influence the outcome of the rezoning action. A rezoning action goes by many different names, including zoning map amendment, land use amendment, or rezoning petition. Here are sevens simple steps you can take to influence a zoning change in your community. 1. Get a copy of the rezoning application. This will provide you with a lot of helpful information, including who the applicant is, how to contact them, and what they are proposing for the property. Find the submitted application online or call your planning office and request a copy. Be sure to get a copy of a site plan if one is included with the request. If a site plan is included, find out if the applicant is bound to that site plan after zoning changes are approved or if the plan is only conceptual. If the rezoning petition is for a specific land use or a specific site plan, and there are conditions or special exceptions applied to an approval that run with the land, there is an additional level of certainty that can be expected. If the request is for a general or speculative rezoning, you have to assume that anything permitted within that zoning district is a potential use of the property. Find out what you are dealing with so you can best influence the outcome. 2. Understand the codes, plans, policies, and technical issues. Start with the zoning ordinance, the local laws governing land use. This can usually be found online or you can find a copy in your local planning office or even. The ordinance language and format may be confusing or unclear, or at least unfamiliar. 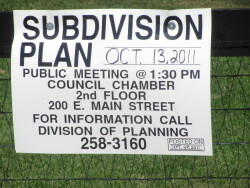 Call your planning office and ask the planner handling the rezoning request to explain the ordinance to you. Be sure to understand what land uses are permitted under the proposed zoning and what uses are permitted under the current zoning. If your community has a comprehensive plan or a small-area plan that makes recommendations for the area, be sure to understand what those recommendations are and whether the proposal is consistent with any adopted recommendations and policies. Identify any issues that may be of concern to the horse community, including stormwater runoff, traffic, noise and light pollution, loss (or gain) of recreation land, loss (or gain) of buffers between horse lands and potentially non-compatible land uses. 3. Talk to the applicant directly. Sometimes, an applicant is required to hold a community meeting to discuss proposed changes with neighbors. Sometimes, an applicant will hold a community meeting voluntarily to help work through potential issues in advance of a public hearing. If there is a community meeting, be sure to attend. If there is not a community meeting, talk to the applicant to learn about their intentions and to share your concerns. Suggest any changes you would like to see made. The applicant can become your ally, and often, neighbors’ concerns can be addressed by the applicant early in the process in a way that is mutually beneficial. Be aware, however, that a general rezoning request may not have binding conditions and that some of what an applicant offers may be nonbinding. 4. Organize your people. Start networking with the horsemen and women and organizations in your community. Decide who will represent your collective voice throughout the process and appoint representatives to speak on behalf of the interests of the equine community. Create an information sharing network to be sure everyone stays informed, to present a strong and unified voice for your concerns, and to help with follow-through before, during, and after a rezoning process. Identify and engage allies outside of the horse community as well, to add strength to your cause. 5. Understand the public hearing process, who to talk to, and when and where to show up. Be sure that you understand the process from start to finish. 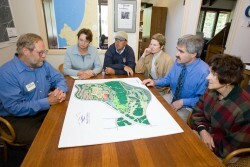 Contact your planning staff and ask them to explain what the applicant is asking for (the zoning classification, any specific land use, any special conditions, any special variances or exceptions), if the request is general (no binding conditions) or conditional (additional requirements that the governing board may put on an approval), when any relevant public hearings or community meetings will be held, at which meetings you will have an opportunity to speak, to whom you should send letters of support, objection, or concern (zoning board, technical review board, planning commission, city council, etc. ), and what happens following approval or denial of a request. Some communities have several layers of administrative review before and after a rezoning request, in addition to public hearings. Be sure to understand if and when there are opportunities to weigh-in throughout the review process. If your planning department issues a recommendation or written staff report, request a copy. 6. Speak up! Using your organized group of supporters, speak up at every opportunity – every public hearing, community meeting, neighborhood gathering, any chance you get. It is critical to speak up not only in opposition, but also in support. Too often, an interest group will put a lot of work into making a positive influence on a zoning action, but fail to speak in support of the compromise. If you have used all of your resources and have worked to influence a positive outcome, speak in favor of the rezoning request. Be sure that the decision-making board hears your support, if it is warranted, so that they are aware of the issues as they are taking action and the strides taken towards compromise are not lost. Never assume that a neighbor-to-neighbor compromise is official until the board takes official action. 7. Follow through the entire process. Usually, if a rezoning petition is on a published and advertised agenda for action by a board or commission, it requires action by that board or commission. That action could be approval, denial, continuance, or withdrawal of the request. Do not assume a request is approved, denied, or withdrawn until there is official action on the part of the board or commission. Once official action is taken, find out what the next steps in the process are, what conditions, variances, or special permits might be considered or required in the future, and who to contact if you believe that an approved plan or request is not being properly executed. Influencing a rezoning request can be as easy as asking for what you want. It can take some time, effort, and organization, but it can go a long way in helping to ensure that our communities remain horse-friendly. 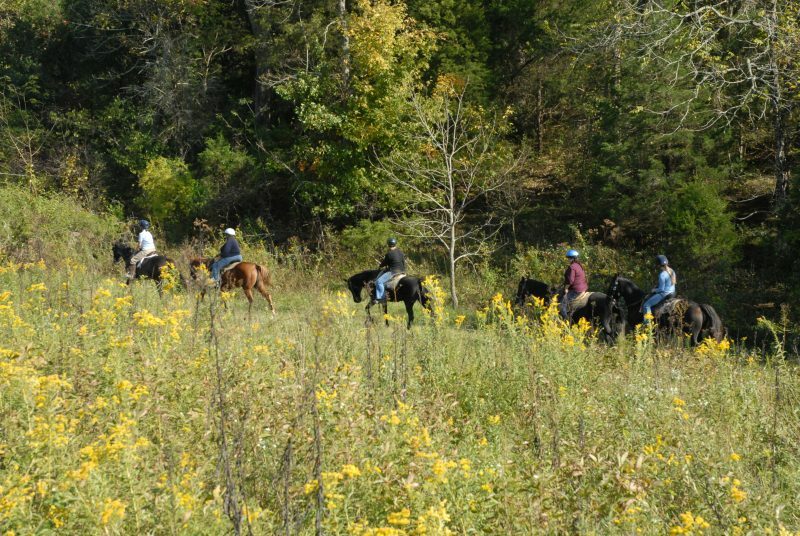 While there are often complexities related to local ordinances, plans, maps, and legal requirements, remember that your local planning staff and an organized community are your best resources to keeping public land open and accessible to horses! 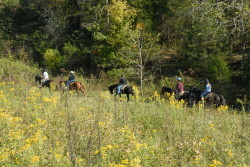 This article has been reprinted with permission of The Trail Rider. To subscribe, please visit www.trailrider.com.